Box the sartorial elegance and push it down the road when you wear this chanderi tissue cream colored straight in suit set. 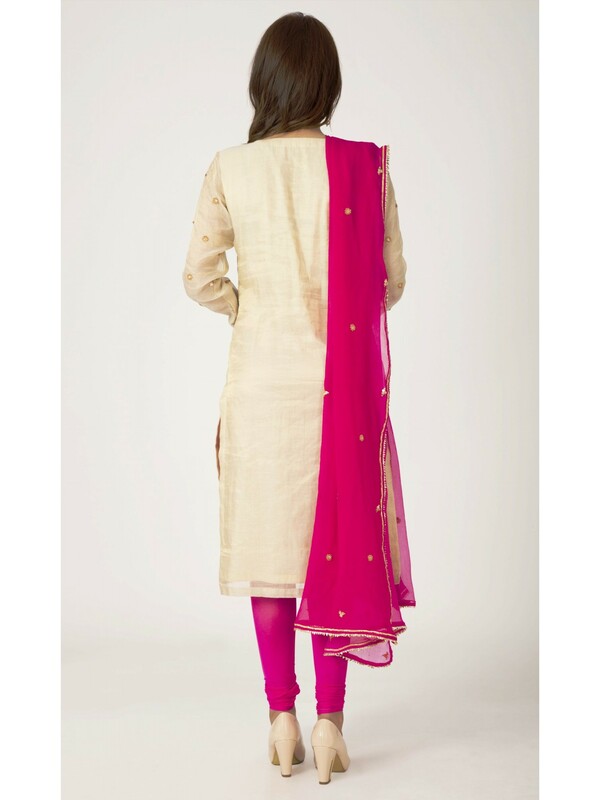 Made from chanderi fabric, this kurta is light in weight and perfect for party wear. 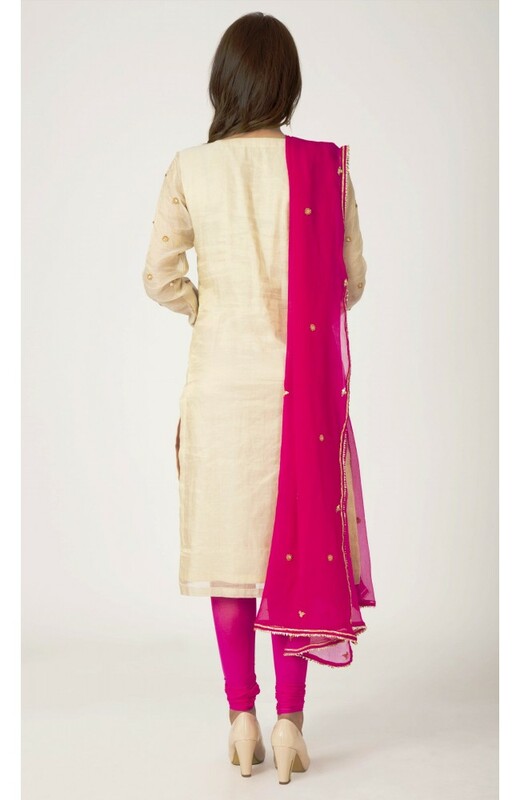 Decked up with dori sequence work all over, this set consists of a crepe chiffon dupatta and a lycra net stitched chudidar bottom.